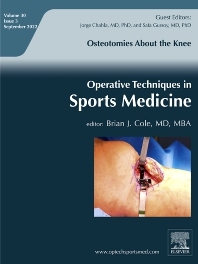 Operative Techniques in Sports Medicine combines the authority of a textbook, the usefulness of a color atlas and the timeliness of a journal. Each issue focuses on a single clinical condition, offering several different management approaches. It's the easiest way for practitioners to stay informed of the latest surgical advancements and developments.